To lay down a procedure for temperature mapping in control rooms to determine the hot and cold spots. This SOP is applicable for Control areas of Pharmaceutical company. Officer and above of respective department shall be responsible for follow the procedure..
Engineering department shall be responsible for fixing the data logger in area . QA shall be responsible to collect the data and make the report , conclusion and recommendation. QA head is accountable for compliance of this SOP. Temperature mapping is to record the temperature mapping data for control rooms where temperature is the key factor due to impact on system, product or process performance. The temperature mapping is to collect the document evidence to ensure the controlling of the minimum requirement of the temperature as per design HVAC system for the respective area. Temperature mapping exercise is to record the following information. Identification of hot and cold spots as well as worst location to affix the temperature monitoring device. Variation of temperature at a single point and across the area. The impact of interventions (Power failures). Length of time of any temperature excursions. To verify the capability of control system to meet the required temperature at given set parameter. To verify the mapping data in the hottest months of May or June and coldest months of December or January. Frequently opened doors affect temperature. Areas near the ceiling or exterior walls (sun facing wall) may stay warmer or cooler in response to outside temperatures. Temperature mapping shall be performed in control rooms for find out the hot and cold location for fixing the hygrometer for routine environment monitoring. Temperature mapping should be done at three levels or at one level (in a zig zag manner) covering complete area at all storage area of materials and products. 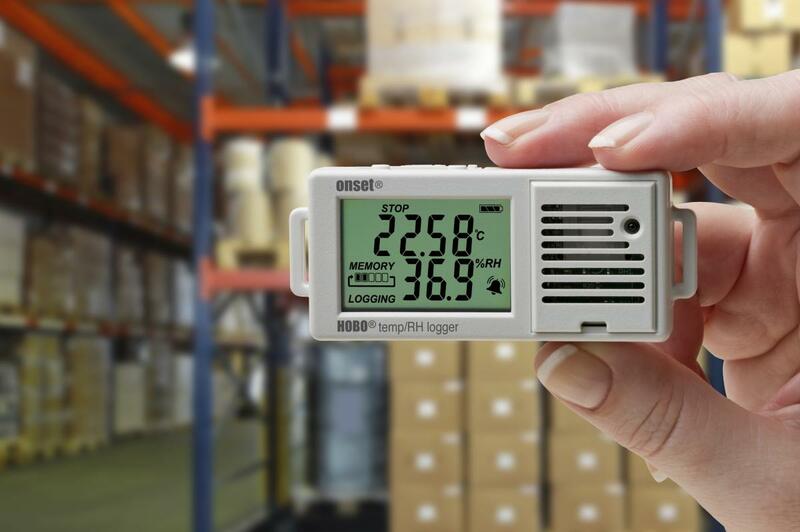 Identification of number of data loggers for temperature for Control Area and Warehouse with rationale (justification). To map the whole area. Identify the worst location (Hot point) to place the temperature monitoring devices for daily routine use. Try to use the data loggers as many as possible to ensure a good distribution. Make sure, cover complete area and all levels, including top to bottom or bottom to top, right to left or left to right, front to rear or rear to front approach. Considering the area include, door, window, supply and return grill, sun facing wall as well as obstruction of air. Distance from one data logger to another data logger should not more than 6 meters. Temperature mapping shall be performed for Manufacturing area,Quarantine area,dispensing and sampling room,capsule manufacturing and storage room,ointment manufacturing rooms,Raw Material, primary packaging materials, secondary packing materials, Finished Good storage areas of Warehouse. Temperature sensors shall be positioned in those locations where greatest variability in temperature is expected to occur and for it temperature shall be recorded. The recording of the temperature and relative Humidity shall be done at every hour. This shall be done in the hottest months of May or June and coldest months of December or January for three consecutive days to assess the hot and cold spots. The data recorded shall be compiled. The highest and lowest temperature indicating point shall be determined by temperature mapping. HVAC unit of the control area shall be in running condition before one hour prior the execution of the study. HVAC shall be in running condition up to the end of study and set the temperature of HVAC system at prescribe limit of temperature and Relative Humidity. Start the temperature mapping with one hour interval for the total 72 hours. At the back of each data logger being used, note down the required details like data logger Identification number and location where it is to be fixed. Mark the location in the area where data logger is to be placed for mapping purpose and mention the location number. Affix the data logger at the locations identified for temperature mapping and note down the start time and end time. After the programmed period, stop the data loggers and remove the data loggers from the affixed location and download / extract the data. Take the print out of the data extract / downloaded from the data-logger. Attach the extract / downloaded printed data and graphical representation with report. Extract the graphical representation from the data-loggers placed in the mapped area for verification of the uniformity of the temperature in the respective area and same was attached with the report. If the temperature at a particular point is found to be out of the specified limit, then recommendations will be made not to store materials in such areas. Significance of power failure study is to evaluate the intervention of the power failure on temperature of the room to maintain the temperature within the accepted limit once if power cut exists. Objective of power failure is to provide the document evidence to verify the intervention of temperature of the area during the power failure up to 20 minutes. Power failure study shall be performed after completion of the area mapping study. Power failure challenge test shall be performed by closing the respective HVAC system for Warehouse for 20 minutes and starting the Data Logger for recording the temperature during this period. Note down the closing time of the HAVC system. After 20 minutes start the same HVAC system and note down the time. Effect shall be accessed and recorded in the report.